Cue student skipping down the hall in happiness……. This was my first experience with Shopkins. Many students would gleefully tell me about their Shopkins adventures each morning during our walking meetings or just in passing in the hall. On the yard I would see expressive and creative play on the yard with the small grocery items held in individual shopping bags. They would often be carrying checklists to keep track of which Shopkins they had and compare with other students. and the Limited Edition, Cupcake Queen. The line also offers themed playsets such as the Small Mart, Fruits & Vegetables and Bakery Stand. I asked my own children what they thought about Shopkins. My pre-teen daughter made a sound that only dolphins could hear when I mentioned Shopkins. We receive several packages a week from brands and PR companies that the kids love to dive into, however most are focused on the under 10 set. This was the first time in a long time that there was something for my soon-to-be teenager to review. online fan videos. So we did! This summer, as we embark on one of our #GuthrieFamilyAdventure we will be making a stop at Showcase. As the home for Shopkins in Canada, Showcase boasts more than 100 items with more arriving daily, including characters, playsets, books and board games — offering greater selection and stock than any other retailer in the country. And while other retailers only sell mystery packs, Showcase is the only retailer in the world to offer individual Shopkins characters at ShopAtShowcase.com to help kids complete their collection. I love that Showcase is a Canadian success story, Showcase employs a unique combination of trend identification technology, an agile supply chain, and a fun and interactive retail shopping experience. The result is the hottest trends first, fast, and often exclusively, making Showcase the leading destination for trending products and gifts. All three Guthrie’s enjoyed reviewing the Shopkins mini figures. They have decided to work cooperatively to collect all the Shopkins. 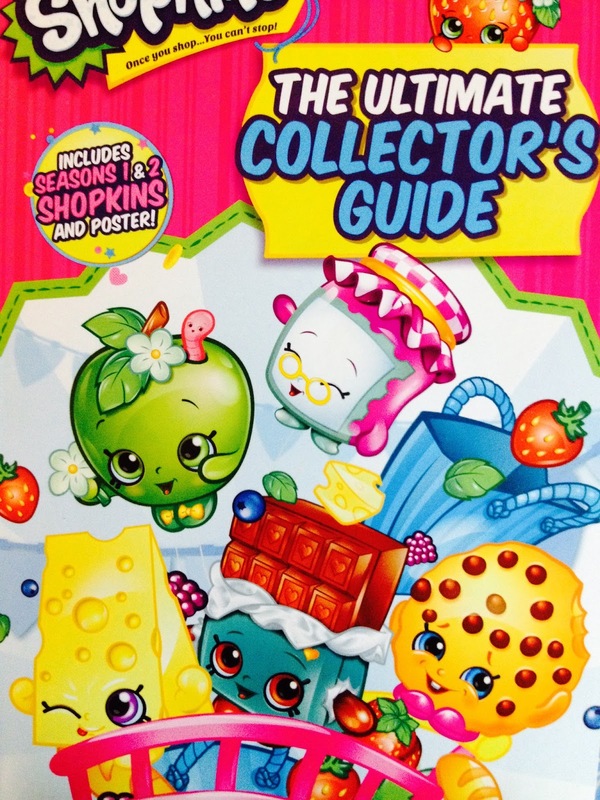 This past weekend all three mini-me’s pooled their allowances to buy a Shopkins guide and are excited to start collecting Season 3!